There are several benefits of learning how to sew. After you have learned, you will be able to make your curtains, hem your clothing, make Halloween costumes for the kids, and even eventually make your clothes. After you have learned to sew, it is a good idea to purchase your sewing machine. Before you do so, it is important to know what to look for in sewing machines. 1 What Do You Plan on Sewing? What Do You Plan on Sewing? Before you purchase a sewing machine, you should think about how often you plan to sew and what you want to sew. If you plan on doing simple jobs occasionally, you do not want to spend a great deal of money on a sewing machine. For simple jobs, there is no reason to purchase a sewing machine with all of the bells and whistles. A simple machine would suit your needs just fine. 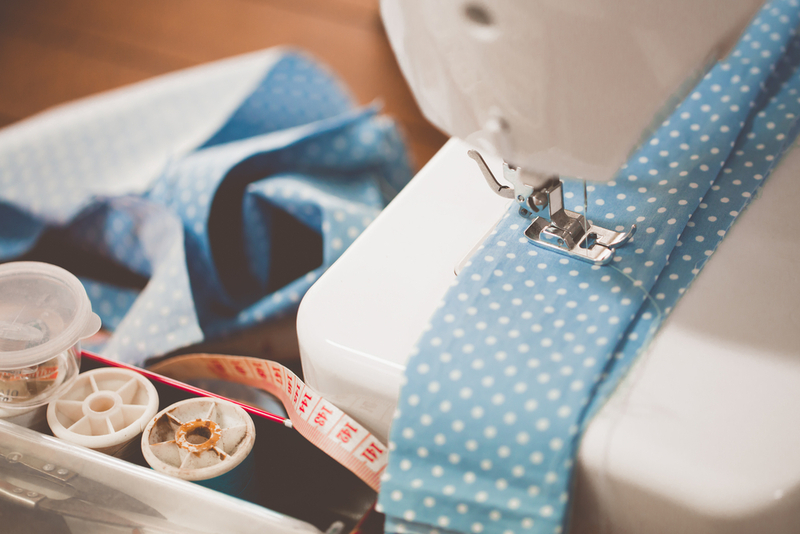 If you plan to hone your sewing skills and use them often, you can invest more money. The next aspect that you need to consider is whether you are going to purchase a mechanical or electronic model. If you are planning to do simple tasks on your machine, such as hemming and mending clothes and making curtains for the kitchen, a mechanical machine will work well. They are very budget friendly and will last for several years. The downside to mechanical machines is that you have fewer stitching options. If you want to do something fancy, you may need to purchase attachments to handle these complicated stitches. If you plan to do complicated ore work, such as tailoring, complicated embroidery, or sewing upholstery, heavy fabrics, or leather, an electronic machine is best. Rather than using attachments, you can dial up what you want the machine. It is important to understand that these machines are a great deal more expensive than the mechanical ones. Does it provide adequate light? Can you carry it without straining your back? Will it fit in your workspace? Does the case have a handle? Does the pressure foot respond easily? Are the controls easy to understand? Can you use reverse and sew at the same time? Can you read the displays? Will your hands and layers of fabric fit around and under the presser foot? When you visit the store where you plan to purchase your sewing machine, you should see if you can try out the machine that you are considering buying. When you do, there are a few things that you should look for. Does it walk across the table? Does it feel like a jackhammer? If you answered yes to any of these questions, you should keep looking. Does the machine feel solid? Can it produce bottom and top stitches? If you answered yes to these questions, it could be the machine for you. Before purchasing your sewing machine, it is important to read all of the reviews on the machines that you are considering purchasing. You can find reviews on websites such as Amazon. When you have the opportunity to see what other people like and dislike about the machine, it can give you an idea if it would be the best machine to suit your needs. 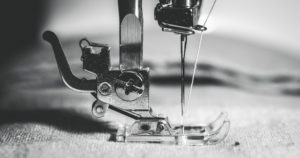 If you are just starting out with sewing, and do not want to spend a great deal of money, you should consider purchasing a used or refurbished machine. After you have learned more, you can always sell your used machine and purchase a better one. If you do buy used or refurbished, you should never buy a machine which does not include a manual. The manual is necessary when setting up the machine. Chances are, you will forget how do fix a stuck bobbin or how to do a special stitch. When this happens, you will need the manual to get you through it. If the machine that you are interested in has no manual, you should check online before you choose not to buy it. Many manufacturers have downloadable manuals online. 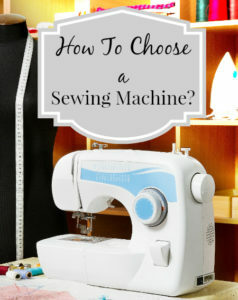 Choosing the right sewing machine is very important. If you follow the above tips, you should be able to find the perfect machine to meet your needs.